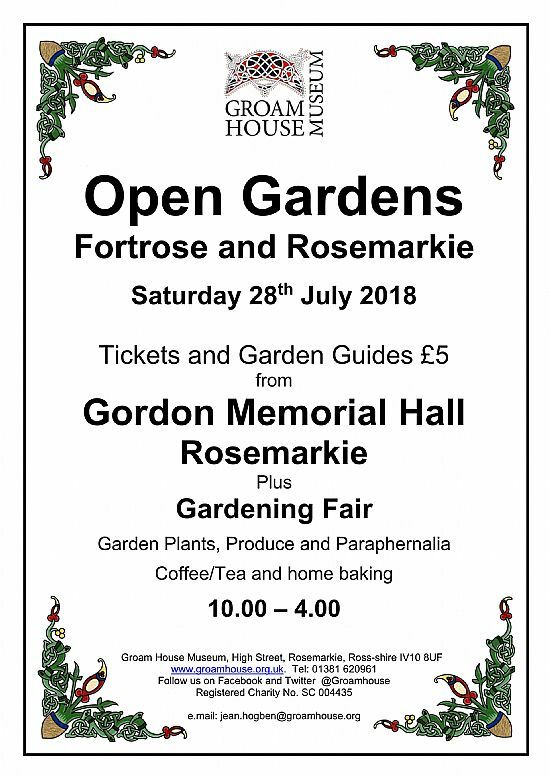 The next Groam House fundraising event is our annual Open Gardens and Gardening Fair which will be held on Saturday 28th July, from 10.00 until 4.00. Tickets and maps for the open gardens will be on sale in the Gordon Memorial Hall on the day at £5 each. We have about 15 gardens opening for us, which is about as many as you could visit in one day! These are split between Rosemarkie and Fortrose and offer something for everyone - a mixture of large and small, formal and informal, wildlife gardens in woodland settings, allotments, garden with natural streams and ones with water features. In the Hall we will be serving refreshments throughout the day and there will be stalls selling gardening goodies including our own plant stall.